If a Square Enix developer’s LinkedIn profile is to be believed, the PS5 is real and Square Enix is currently working on a AAA title for the platform. It was bound to happen sooner or later, with all of the rumors and speculation currently flying around about the PlayStation 5. Next-gen consoles are likely just around the corner within the next year or two. We’ve known the PS5 is coming, but it’s never been explicitly confirmed as the PS5 or PlayStation 5 before. Tomohiro Tokoro is a Lead 3D Character Artist with Luminous Productions, the division of Square Enix Group that was started by former Final Fantasy XV Director Hajime Tabata. 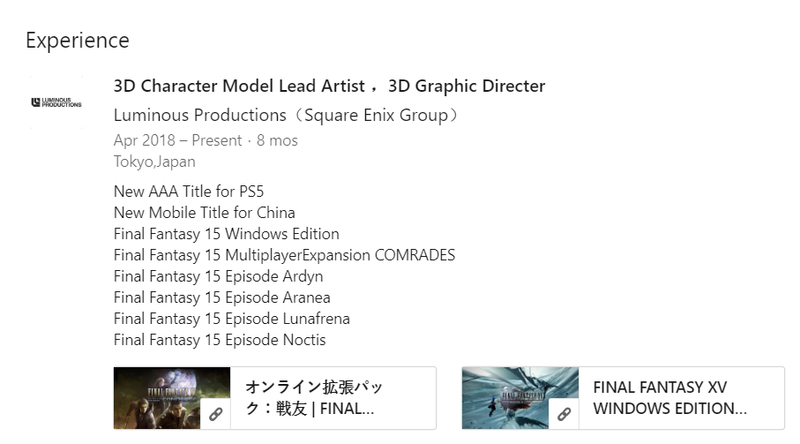 Under Tokohoro’s experience section, one entry states “New AAA Title for PS5,” which is the first time we’ve seen job listings or LinkedIn profiles reference a next-gen console by name. Most of them simply say “next generation” rather than specifically naming the system. It’s important to note that not even Sony has officially confirmed the PlayStation 5 name yet, though they have indicated that next-generation consoles are being developed. Tokoro could simply know he’s working on the next PlayStation and have called it the PS5 on his own. It’s also interesting that the PS5 is called out individually on Tokoro’s profile, failing to mention multiple next-gen consoles. Could this AAA Square Enix title from Luminous Productions be a PlayStation exclusive? Most reports indicate that the PlayStation 5 release date will be sometime in 2020. If Sony follows previous trends, it will be revealed at an exclusive event and not at a larger industry event like E3. There’s also evidence that it will be backwards compatible with the PS4 library, including digital purchases. Most recently, there’s been rumblings of Sony working with AMD Ryzen tech for the console. When do you think the PS5 release date will be? Could we see it as soon as 2019, or is Sony going to aim for a 2020 release (or beyond)? Will they follow previous naming trends and call it the PlayStation 5? 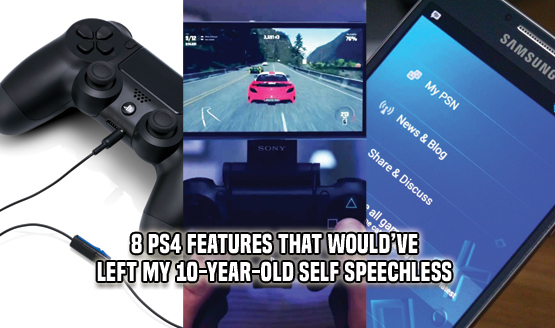 Let us know your thoughts on the PS5 and next generation of consoles in the comments below.